There is a choice of attractions to visit and scenery to enjoy, and we include excursions to the popular Bicton Park, and the maritime city of Plymouth with a boat trip around the harbour, plus the historic city of Exeter. We depart this morning and travel via the motorway network with a lunch stop on the way, we arrive at our hotel in time to settle in before our evening meal. Today is a free day to explore the resort of Paignton and enjoy some sea air on the promenade. This morning after breakfast we join our coach for the journey for the journey to the popular Bicton Park. Here you can explore its parkland, its Greenhouse, Palm House and ride on its narrow gauge railway before rejoining our coach for the journey back to our hotel and Paignton. After breakfast we travel to Plymouth where on our arrival we take a boat trip around its famous harbour offering views of the Hoe and its Dockyard. 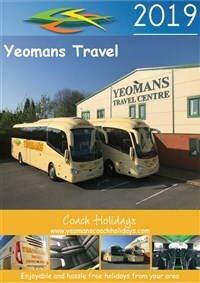 Afterwards there will be time to eplore the city further at your own pace before rejoining our coach for the journey back to our hotel in Paignton. This morning we travel through the countryside of this part of Devon and visit Buckfast Abbey. This is home to a group of benedictine monks where you can visit the Abbey and its magnificent stained glass window. 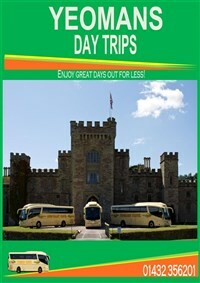 We rejoin our coach for the journey back to Paignton where the remainder of the day is free. Today is a further free day to explore Paignton. After breakfast we travel first to the city of Exeter where there will be some free time to explore the city before travelling on to the nearby seaside resort of Exmouth where in the afternoon we enjoy a River Exe boat trip along with a Devon Cream tea on board. Afterwards we meet the coach for the journey back to our hotel. We say farewell to our hotel and Paignton and return back to your joining points. This three star hotel is located a short walk from the seafront and the town centre. The hotel has a comfortable bar and lounge and provides some entertainment during our stay, and all the bedrooms vary in size but are ensuite with television and a tea/coffee tray and served by a lift. Porterage of luggage on our arrival and departure at the hotel. A free day to explore the resort of Paignton. An excursion to Buckfast Abbey. A boat trip on the River Exe enjoying a Devon cream tea. A visit to Plymouth and enjoy a harbour cruise. An excursion to Bicton Park. A visit to the city of Exeter.